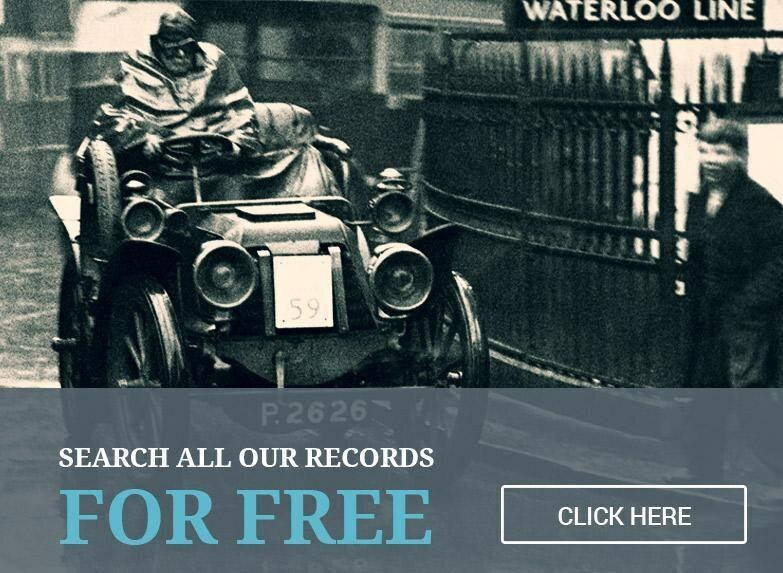 Thanks to our exclusive partnership with the Federation of Family History Societies, we have the largest online collection of UK parish records, giving you the chance to take your family history research back through the centuries to Medieval Britain. In this post, we'll run you through exactly what parish records are, why they're important and how you can search them to find your family. In the 1530s, a combination of events, new pieces of legislation, the politicking of Thomas Cromwell and Henry VIII's desire to divorce Catherine of Aragon in favour of Anne Boleyn led to Henry's excommunication, and a split with Rome. In 1538, the new religious regime – the Church of England – decreed that records of baptisms, marriages and burials must be kept by every parish in the country. These parish records were to be kept up to date on pain of fine, recording in detail the lives of local families. At first, some parishes neglected to complete the records, ignoring orders and potential punishment. Eventually, however, they were brought into line. Barring the English Civil War, records were consistently kept until 1837, when control was passed to the crown rather than the church, and records began to look more like the ones we recognise today. This is great news for researchers – and transcription operators – but the images that accompany many of the parish record transcripts are, undeniably, beautiful. The parish records were transcribed and indexed mainly by family history societies, although a few dedicated individuals have also contributed data. You can contact the society or group that extracted the information for further details. Some may charge a small fee for research. Details can be found on search results pages. If you're searching for your family in the parish records, the chances are you're not new to family history research. You've probably built your family tree up to the 18th century, and so don't need a beginner's guide to search. Here, we'll give you a few tips on how to explore these fascinating collections. If you Can't Search, Browse! With some of our parish record collections with images you have the option to browse through the registers (type "browse" in the A-Z and then look for the parish record collections) – handy if you can't find a record by searching – go to the relevant register and thumb through (use the tool at the bottom of the image viewer to jump to the right place in the register) – your record might be mistranscribed or the page might be missing from the register or too faint/damaged to read. When dealing with a record set that's as old as the 16th century, accurate transcription isn't always easy, and spelling wasn't necessarily accurate to begin with. This means that you may have trouble finding people when searching by name. For this reason, wildcards may be your friend. A wildcard is denoted by a *, and you can use them anywhere in the first, middle or surname fields (but either the first or last name must have at least three initial characters). For example, if you want to search for Michael Addams you could search for Mic* *dams or Mi* Add*. Searching for Mi* Add* will bring back results that include Michael Addams, Mickcill Addames, Millimay Addams and Mis Katharine Adderley (all real results). *NB* you can't use search variants with wildcard searches. It wasn't until 1752 that the Gregorian calendar was adopted in Britain. Until 1752, the Julian Calendar was still observed, and the year officially started on the 25th of March. While Britain clung on to the Julian Calendar, much of Europe had already made the transition. This means that in some cases you'll see two dates in what is known as double dating, for example you might see 16 January 1746 "OS" (old style) and 1747 "NS" (new style) on the same entry. If you see a date in an index from between January 1st and March 24th and before 1752, ensure that the double dating problem has been taken into account. If you can't find the entry in the year you're expecting it, try a year either side. The English Civil War ran from 1642-1651, and during this period record keeping wasn't necessarily top of everyone's list of priorities. If you're looking around the mid-17th century, this is always worth bearing in mind.